Mayor David (Sparky) Parker recently posted an update on the status of the gate blocking Duffy’s Alley in Nevada City on his Facebook page. The owners of the Golden Era bar property originally sought a temporary closing of the alley during remodeling, but after the job was finished the gate remained. Parker then sought to mediate an agreement between the parties to reopen the gate, at least during daylight hours. After all, it had been an established public thoroughfare for over one hundred years. The talks stalled when city attorney Hal DeGraw told the committee that the city had no prescriptive easement and neither the Golden Era nor the city would not accept the liability. So there we are, or are we? If citizens give in to this decision, what’s next? There has already been a request from the new owner of the National Hotel to close the National Alley to the public. What’s next? The shortcut from Main St. to the post office? The trail from the Brewery parking lot to Pioneer Park? Tribulation Trail? These little shortcut oddities are part of Nevada City’s character. They are historical arteries that deserve some recognition. Look at what Grass Valley did with their tribute to Ambassador Stevens, in an alley. In CA real estate law, if you use a certain course through someone’s property for 5 years, then you have what is called a “prescriptive easement.” To establish a prescriptive easement one must prove that all the requisite elements have been met: that the use was (1) adverse (sometimes referred to as “hostile”), (2) actual, open and notorious, (3) continuous and uninterrupted, and (4) for the statutorily required period of time. 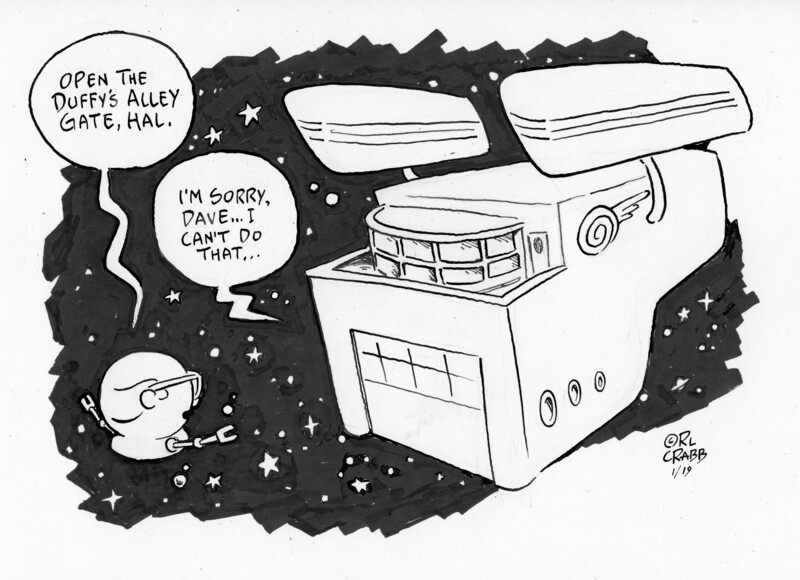 I think opening the alley during daylight hours and closing it at night would be a reasonable compromise. From what I’ve heard, even that is unacceptable. Isn’t it amazing how it wasn’t an issue for 100 years until the new owners decided to make it one?